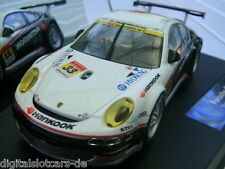 Porsche GT3 RSR Super GT 2008, no. 33. The car is new, never used and original boxed. Suitable for Carrera Evolution. Upgrade to Carrera Digital with a decoder is possible. Suitable for all Carrera evolution railway. 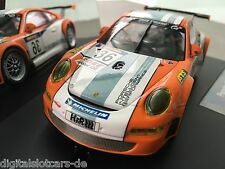 PORSCHE GT3 RSR "hybrid, no. 36", VLN 2011. Marke Carrera Evolution. Fahrzeugmarke Porsche. 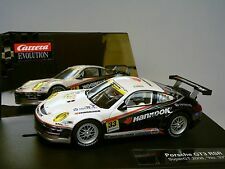 88201 a-1503 FLY PORSCHE CARRERA 6. MPN 88201 a-1503. No 42 UNHAPPY - CANNON. 12 h SEBRING 67.